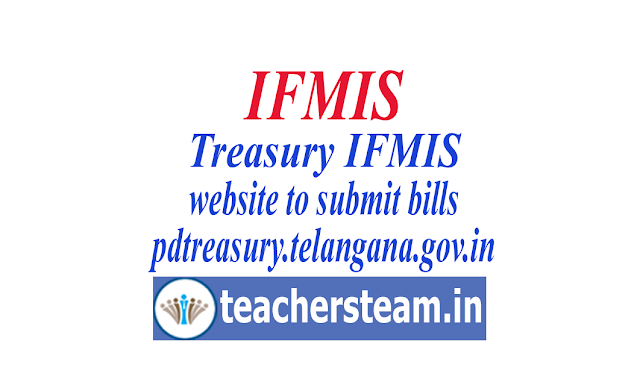 IFMIS website login, Preparation of Bills through IFMIS software in Treasury website, treasury website IFMIS, Salary bills through IFMIS, How to prepare Telangana employees salary bills in IFMS, How to prepare bill in new pdtreasury IFMIS website, DDOs bill submission in IFMIS, DDO Login to IFMS pdtreasury.telangana.gov.in, New pdtreasury.telangana.gov.in website to prepare salary bills, video tutorial on bill preparatin through IFMIS in pdtreasury.telangana.gov.in. DDOs can enter their employees data using HR option. There all details of employees must be updated by the DDO before proceeding to prepare the bills. Bill option provides the options to prepare the monthly bill to DDO. DDO has to prepare monthly salary bills using Bill option and submit it to treasury. Online Query option is given to the DDO to raise their doubts and technical problems facing by them while operating the pdtreasury software.